Today I am a Birthday Girl! Yay! I haven't wait for this day in what seemed forever but in retrospect this month has zipped by! Incredible, right? I am off having some special birthday adventures that I will immediately share with you all as soon as I can. In the meantime, when I was planning my birthday I asked myself how I could incorporate more vintage into my actual celebration. You will see how I did so when I post my outing but I wanted to share with you five easy ways you can add a little vintage into your own birthday celebrations. Outings are not always possible and finding vintagey places to go to are not always easy to find for some but these five little things are just a click away as I found some neat birthday items on Etsy. 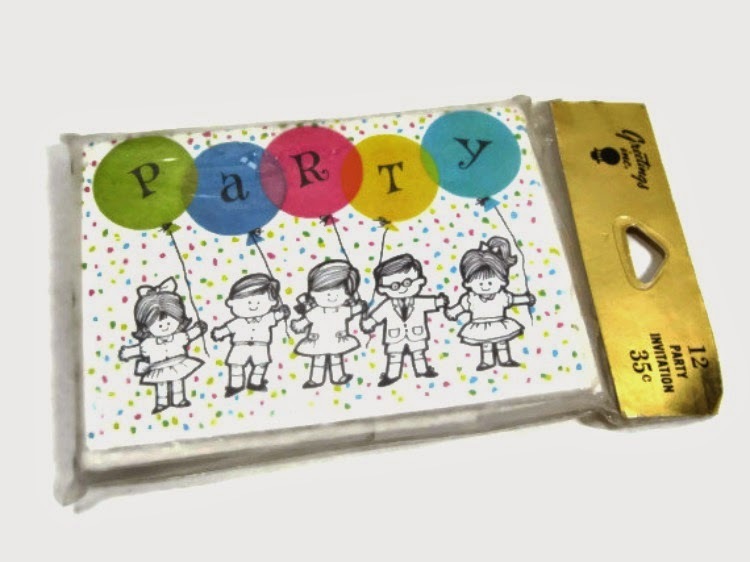 Sending out vintage birthday invitations, using vintage cake decorations or candles, wrapping presents in vintage paper, or wearing a pretty vintage dress/frock are ways that you can easily incorporate vintage into your special day or in the day of someone you care for. 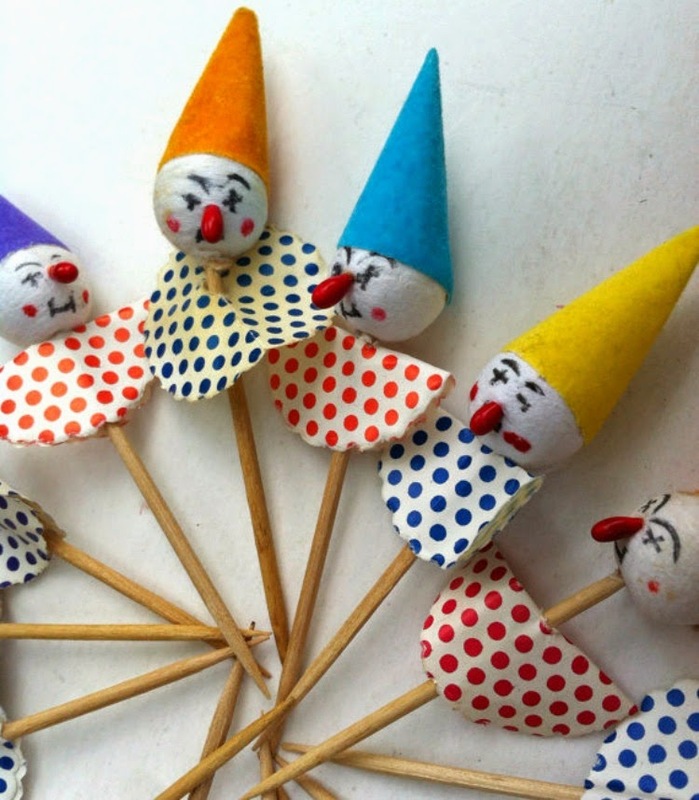 Aren't these vintage birthday items so adorable?! I love them. And it just goes to show how easy it is to add a little vintage to your birthday celebrations. 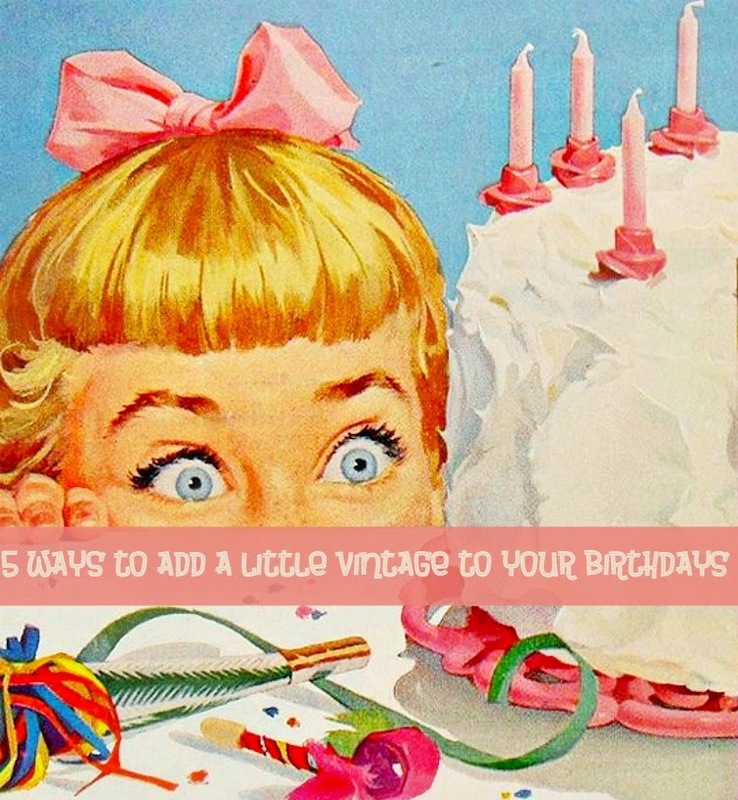 In what ways have you added a little vintage into your birthday celebrations or into the special days of those you love? Happy birthday! I really love that wrapping paper, and of course that dress is fabulous. 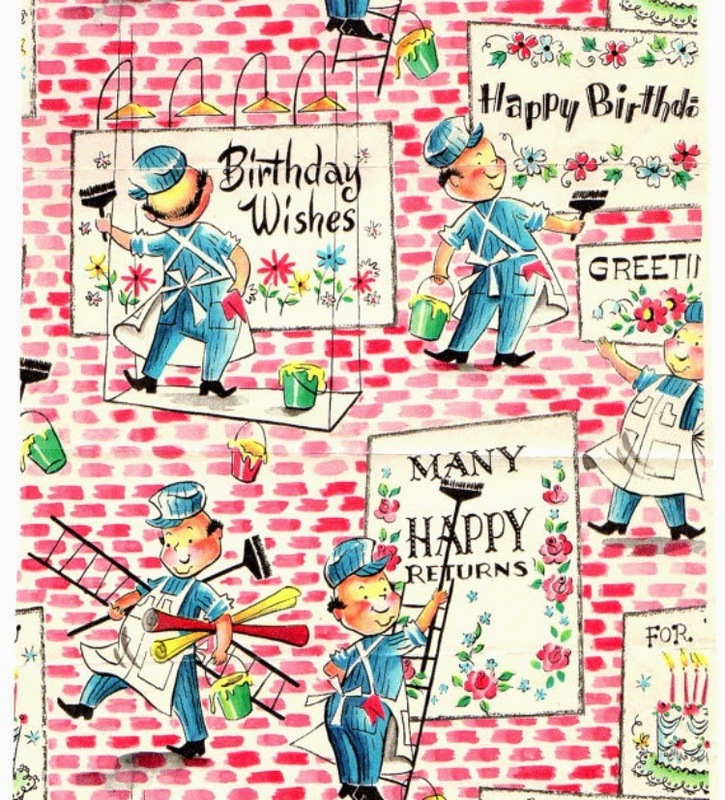 I hope you have a very fun, retro birthday celebration! 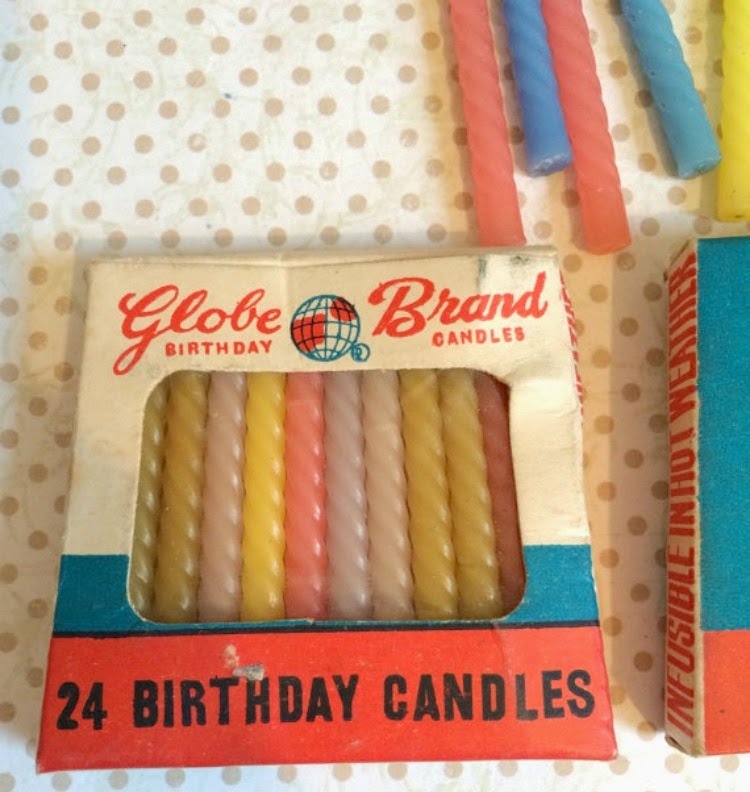 Awesome ideas and vintage birthday goodies! 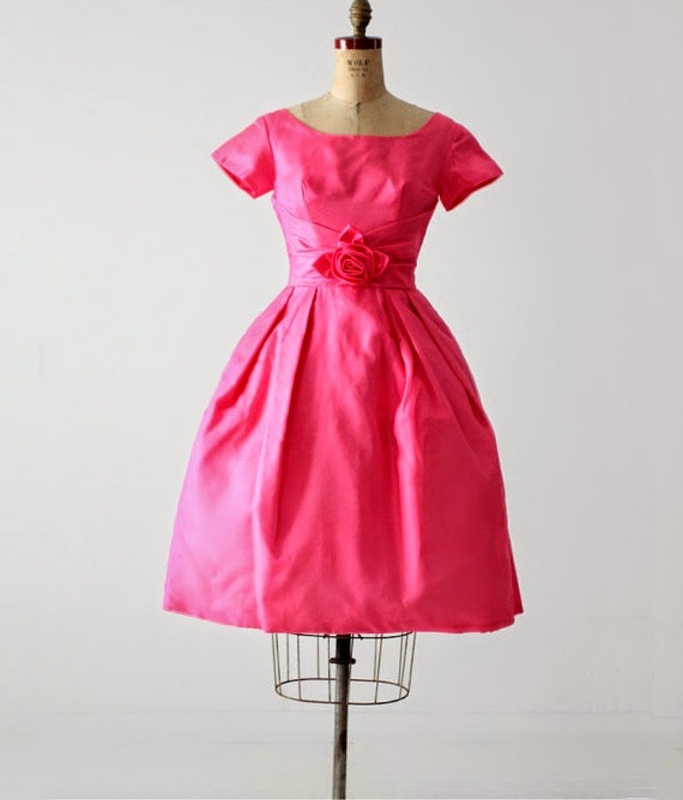 That bright, gorgeous fuschia dress is amazing! When I tell folks I love certain elements of 60s style, it is dresses just like that that I'm thinking about. Super happy birthday wishes, sweet Daffny! That dress is so so cute! Hope your birthday was super! Happy belated birthday! I hope your special day was a wonderful one!